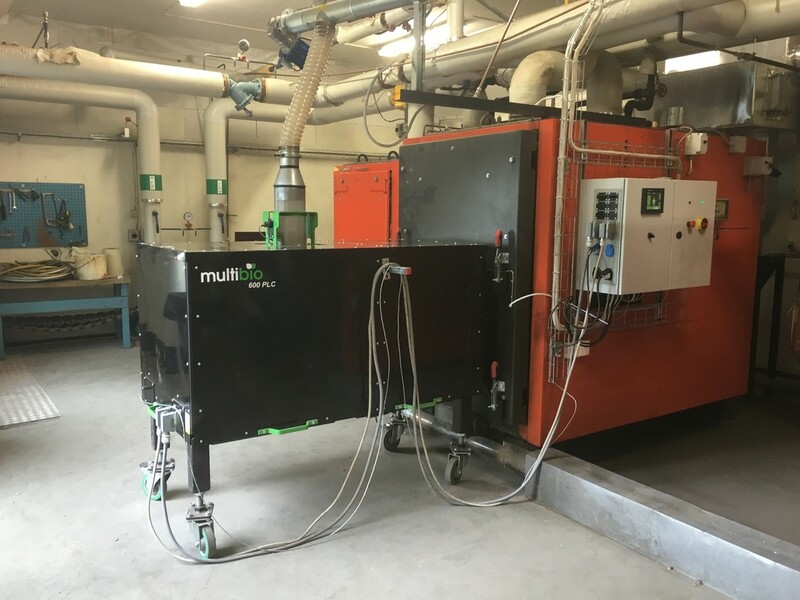 Following our experience at the Volvo Penta plant, our partner in Sweden ordered another MultiBio 600 burner for burning low-quality, low-quality, wood-grade industrial pellets. This fuel has a high proportion of odor and bark content that causes sintering. 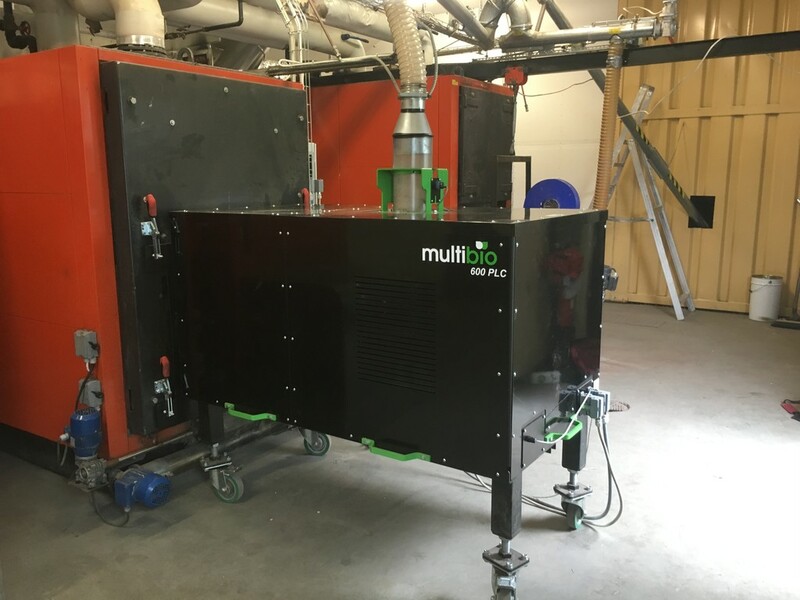 The MultiBio 600 burner in Volvo Penta has proven its ability to deal with this fuel reliably, so the choice has come again. In the pictures from the realization, you can see the arrangement of the boilers in the boiler room, the way of transporting the fuel and also the external silo from which the fuel is transported into the internal power and then to the boilers. The realization is carried out in a hotel complex with a capacity of 900 people. Several separate buildings are heated with the hotel swimming pool, as shown in the photographs and video footage from the realization. 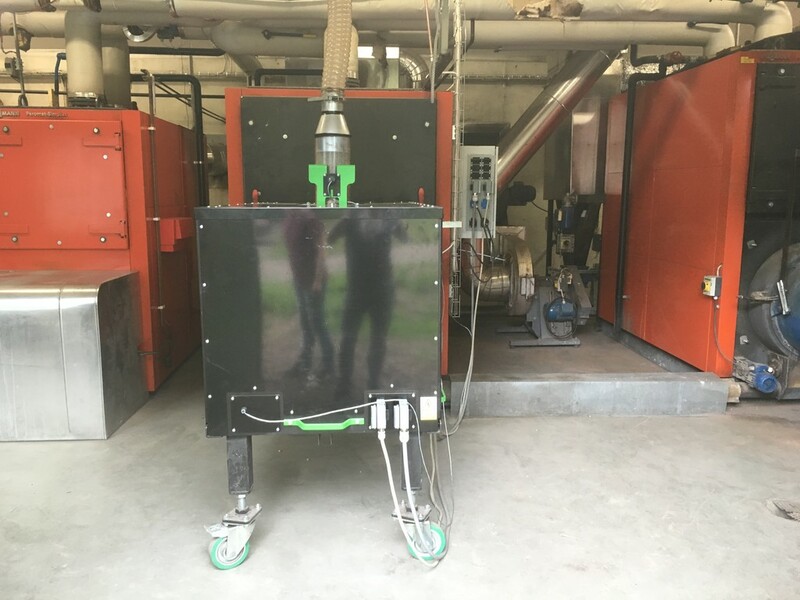 The burner is connected by a Viessmann boiler flange. 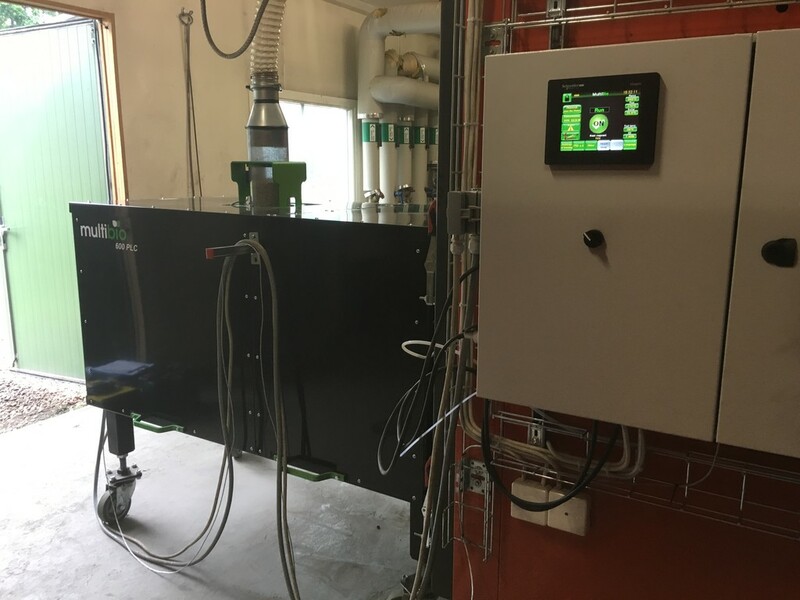 It is controlled by the Schneider PLC electronics with which the operator, the manufacturer or customer can connect over the LAN, and can remotely monitor or control all functions as if they were directly at the burner boiler. 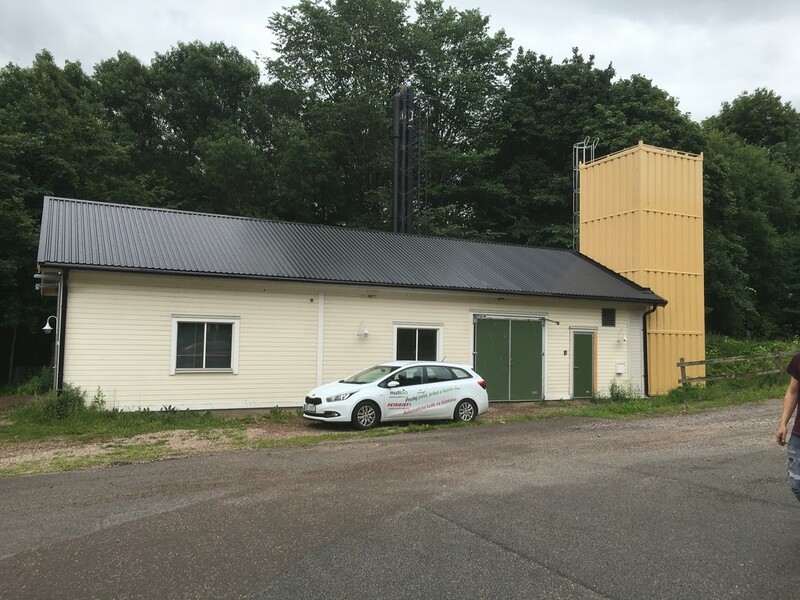 Through remote management it is possible to change and monitor performance, combustion quality, flue gas temperature, return and exit water and many other parameters. The PID operates on the burner - continuous power control according to what is the demand from the heated space.